"RICOS & FAMOSOS COMMUNITY JACO"
Private Luxury Villa in Center of Jaco - Walk to downtown or the beach. 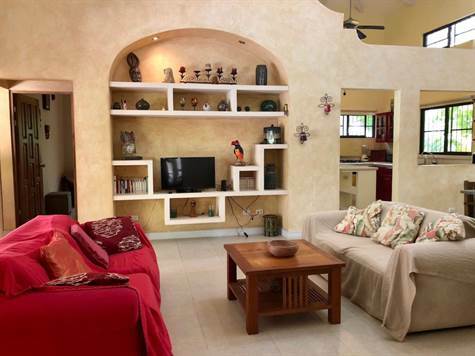 This spacious three bedroom house features high ceilings and open floor plan. Two Bedrooms on one wing adjacent to the kitchen and living room with separate bedroom and bathroom on the other side. Gorgeous pool and terrace in jungle setting. Large private lot.